Suitable for all levels of makers including complete beginners. 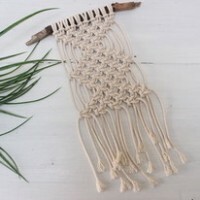 Join us to make your own macrame wall hanging! 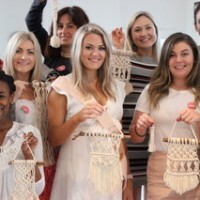 In this workshop we will take you through the steps from start to finish to create your own unique wall hanging design. 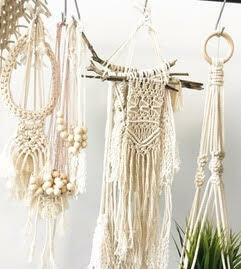 You will learn how to get set up and the basic knots of macrame. 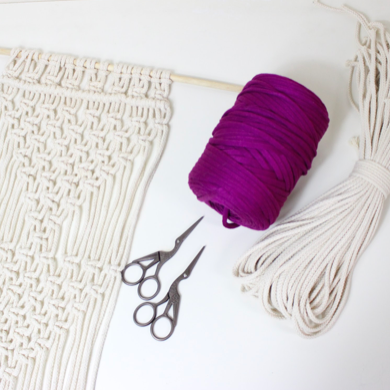 Put your own modern twist on this retro craft. 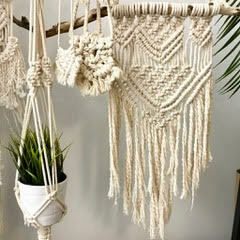 This workshop is a great opportunity to make something really beautiful whilst having fun and learning a new skill. All materials provided including traditional macrame cotton rope and a selection of coloured recycled yarn. View times and dates for other creative and craft workshops. 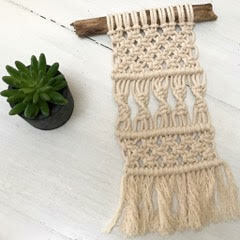 Bronnie started making and crafting as a way to practice mindfulness and to create time for herself in this busy world. 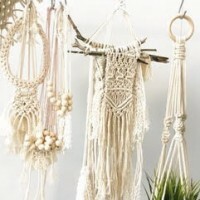 Her favourite crafts are jewellery making, embroidery, crochet and macrame. 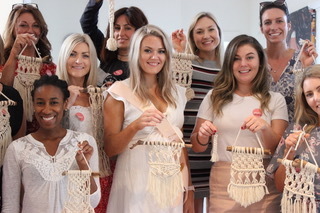 Whilst she loves making and creating for markets and her online store, her real passion is inspiring others to get creative and to enjoy the process. Bronnie truly believes everybody has a creative side!